The second day of the 2017 Bonnaroo Music and Arts Festival is in the books. For Friday, Bonnaroo opens its two biggest stages, What and Which, allowing for bigger name acts as well as its first headliner of the weekend. There was also plenty of roots music of all varieties on offer for those willing to look for it. Bonnaroo scored the biggest festival headliner “get” of 2017 when Irish rockers U2 brought their Joshua Tree Tour to The Farm. Not only are U2 arguably the biggest rock band in the world, selling out football stadiums the capacity of Bonnaroo alone, but it is their first ever American festival appearance and only their second festival in the band’s four decade history. As the What Stage went dark, the signature drum riff to “Sunday Bloody Sunday” began to thunderous cheers. U2 then blasted through a three song set of hits that included “New Year’s Day” and “Pride (In the Name of Love)” before starting their front to back performance of their 1987 landmark album The Joshua Tree. Overall, U2 delivered during their two hour set, though the reaction early-on was a bit muted due to the confusing decision to perform the early songs with either no video screens or just a backdrop of landscapes, taking the fans far enough away to be unable to see the stage clearly out of the show a bit. But when set highlight “Bullet the Blue Sky” began, the three massive screens began to alternate between video clips and shots of the band and stage shots. Music is embedded in humanity’s basic evolution. Babies will dance when played a tune, even if they’ve never seen anyone else do it. The percussion heavy music performed by Angelique Kidjo and her band strikes directly to that instinctual rhythm and the result is an almost involuntary need to get up and move. The choice to reimagine The Talking Heads’ Remain in Light was an interesting one for Kidjo. David Byrne and producer Brian Eno began the band’s flirtation with African rhythms on Remain in Light. Kidjo just took those elements and made them not influences but the star of the show. While criminally underattended by Bonnaroo audiences, Kidjo and her band didn’t pull any punches just because they played to a half-full tent. Instead, they used the spare room to start a throw a dance party of epic proportions. 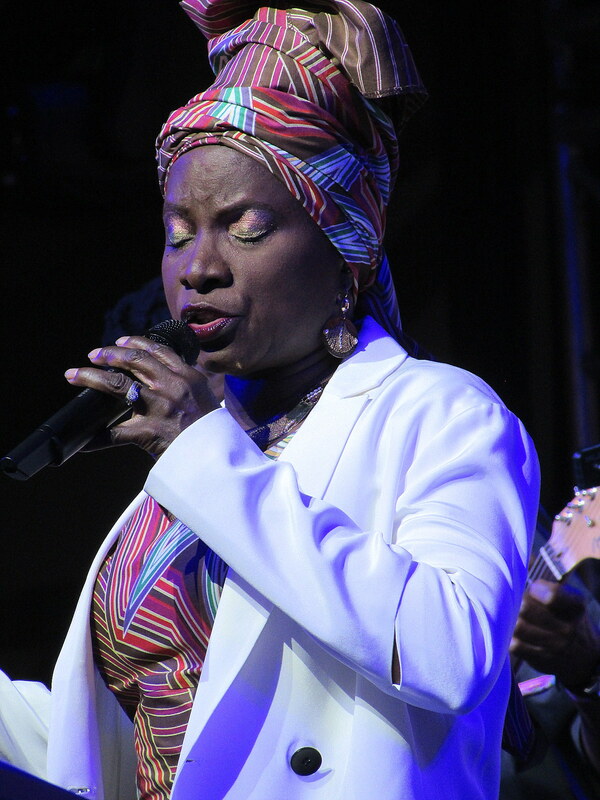 Led by Kidjo’s massive voice, the band’s dual percussion drive and horn-heavy approach drove the audience into a frenzy. When Kidjo left the stage and took to the audience, she blended in to become part of the single writhing organism we had become. During her set, Kidjo addressed that singularity. “Music is humanity”, she intoned. “It is everyone. It is man and woman. It is black and white. It is rich and poor. Music is what makes us one.” For those who got to become one with Angelique Kidjo on Friday night, the experience transcended a normal concert and became something much more special. Following Angelique Kidjo’s Remain in Light was another act that knows a thing or two about the innate musicality of the human race. Since their founding in the 1960s, The Preservation Hall Jazz Band has served as the primary traveling ambassadors for New Orleans’ unique take on jazz. With a set made up primarily of instrumentals with a few chants, Preservation Hall Jazz Band brought a portrait of the Crescent City to life with their songs. So ingrained is New Orleans’ music in the culture, that even without lyrics, those horns, drums, and Ben Jaffe’s driving upright bass evoked images of 1940’s speakeasies, crowded clubs, and second line parades. Even if you’ve never been to New Orleans, listening to the Preservation Hall Jazz Band lets you feel like you have, if only for an hour. Prior to the show, the Mayors of Manchester and Coffee County presented the keys to the city and county to the group. 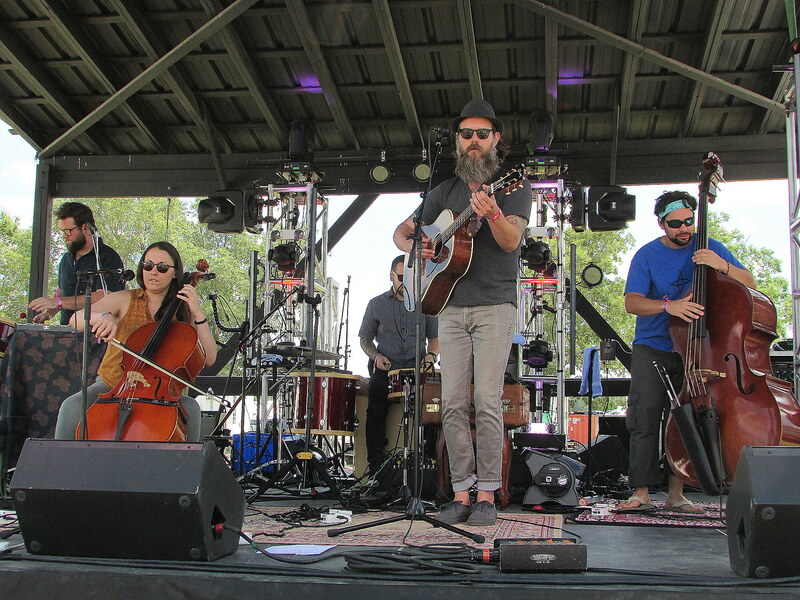 Myrtle Beach’s Sweet Sweet kicked off the day at 12:15 p.m. That’s practically dawn in Bonnaroo time, but their Who Stage set of folk music was well-attended. Over at The Solar Stage, The Wailing Loons proved why they are the hardest working act at Bonnaroo 2017. The Minnesota natives are playing a total of five sets throughout Centeroo and the campgrounds throughout the weekend. With a gypsy-folk ethos that reminded me of Hymn for Her, The Wailing Loons’s dedication to the sing-along chorus makes them a great choice for campground pop-up songs and their environmentally themed lyrics make them perfect for performances at Bonnaroo’s socially conscious Planet Roo. Bonnaroo may be a festival dedicated to music, but one of its best kept secrets is Planet Roo. This little oasis in the middle of Centeroo serves up educational seminars, yoga classes, talks on social activism, and even this year a twerking class with bounce queen Big Freedia. 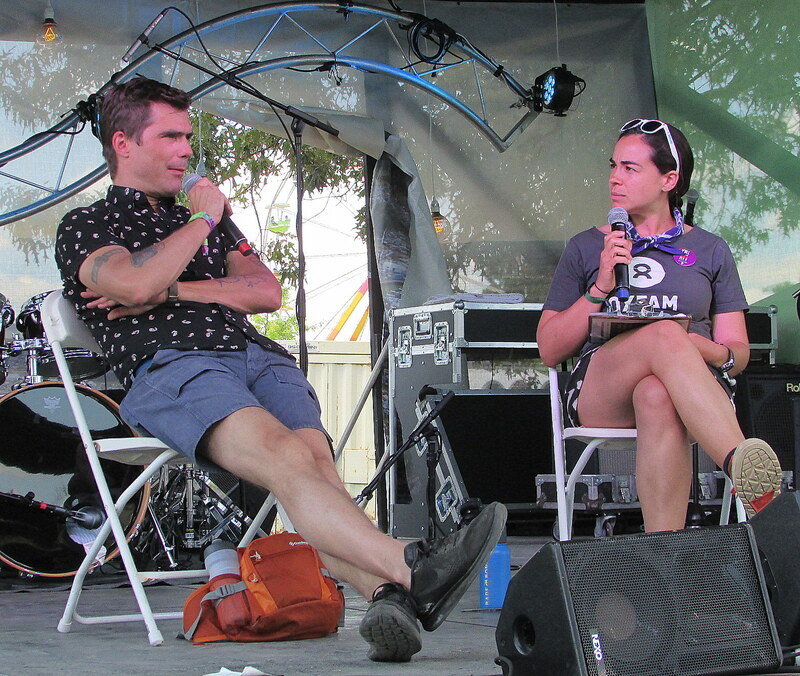 A highlight on Friday came via a half-hour chat with chef Hugh Acheson. A James Beard award winner, Acheson is best known as a judge on the reality competition show Top Chef, where he is affectionately known as “The Hughnibrow” for his bushy single brow. Acheson was at Bonnaroo to represent two charities, Oxfam America and his own Seed Life. He also spoke to the scattered crowd about his journey as a chef and his opinion that every home cook should know three things; poach an egg, make a vinaigrette, and roast a chicken. Saturday at Bonnaroo brings headliners Red Hot Chili Peppers and Chance the Rapper, as well as a New Orleans-themed Superjam featuring Preservation Hall Jazz Band and Margo Price among others, and a late night set from progressive jammers Umphrey’s McGee.